Description Pullman 1957 Beverage Menu - 3 Musketeers Cover, used on the New York Central (NYC) Railroad's famous Twentieth Century Limited (20th Century Limited) that ran between Chicago, IL and New York City. 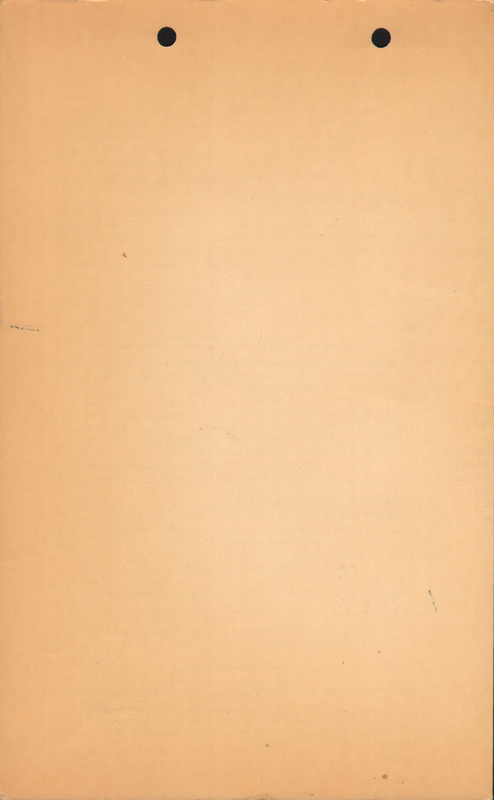 A menu code of BV-31-P-320-B57 translates to a printing of 320 copies in February of 1957. 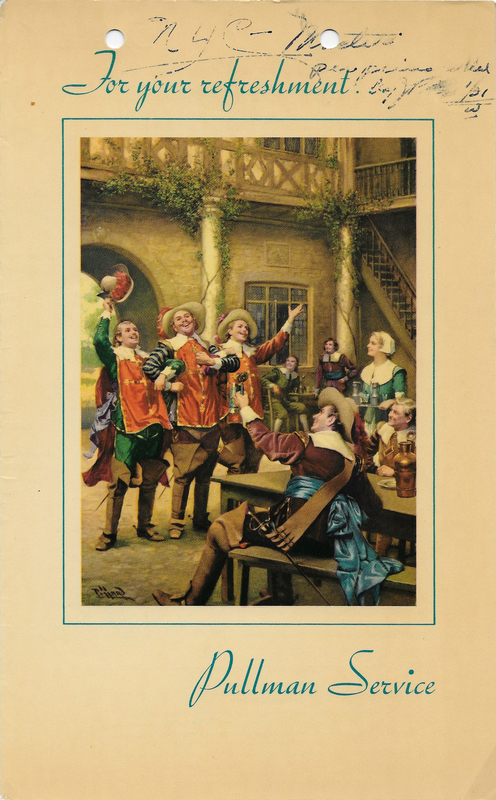 The Three (3) Musketeers cover art was widely used on Pullman Beverage Menus from the early to late 1950s. 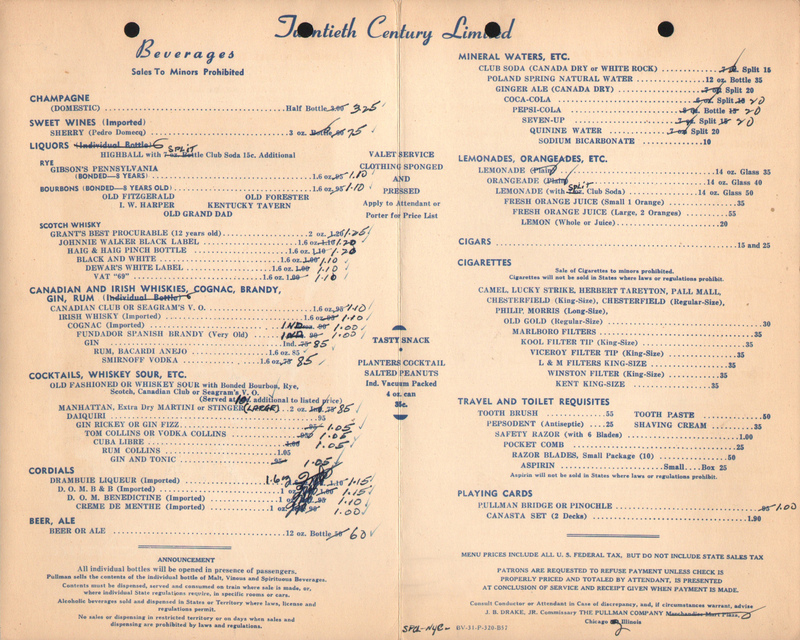 This menus would have been used either in the Pullman run mid-train lounge or in the observation car lounge. Holes punched in the cover indicate this menu was once part of the Pullman Commissary files. 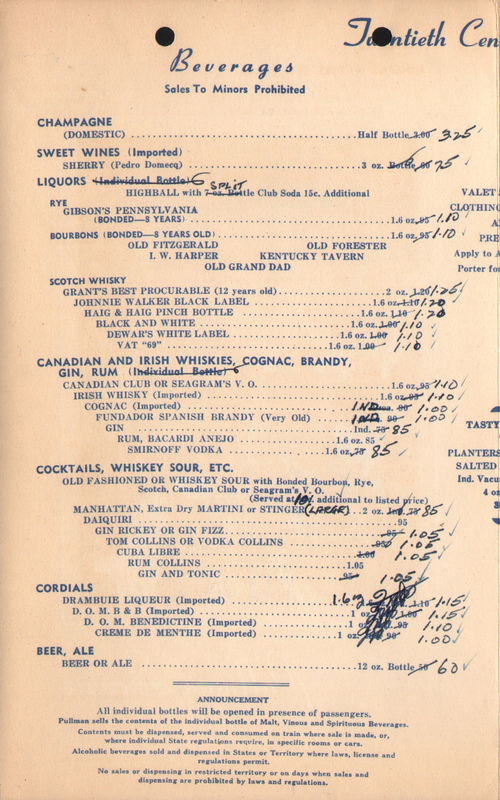 This is also a special menu because it was used to give updates to the printer and shows new prices and a new menu code of SPCL-NYC-BV-31-P-320-B57. 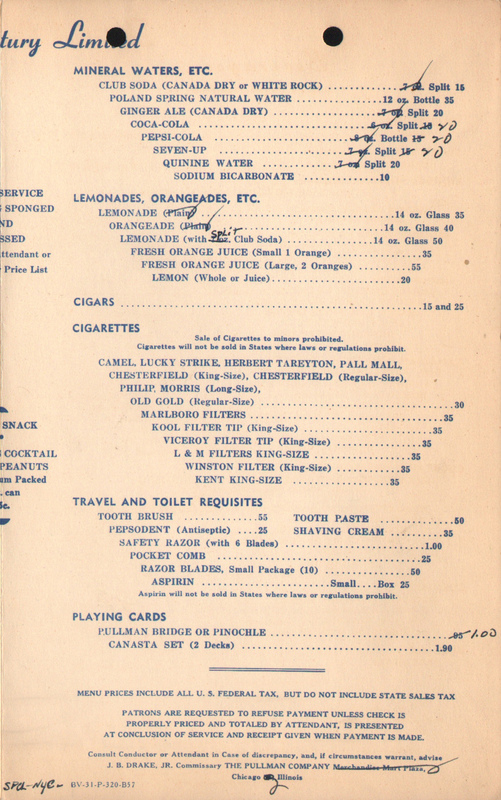 The seller of this menu indicates that this menu is from the final days of Pullman on the New York Central. The NYC pulled out of Pullman a few months after this was printed.